Joerg Reinhold is a Professor of Physics. His research in experimental nuclear and particle physics. Dr. Reinhold earned a Diploma in Physics at the Technical University Munich in Germany (TUM) in 1990, a Ph.D. in Physics at TUM in 1995, and completed postdoctoral studies at Argonne National Laboratory, outside Chicago. He joined FIU in 1998. Prof. Reinhold conducts research in experimental nuclear and particle physics. 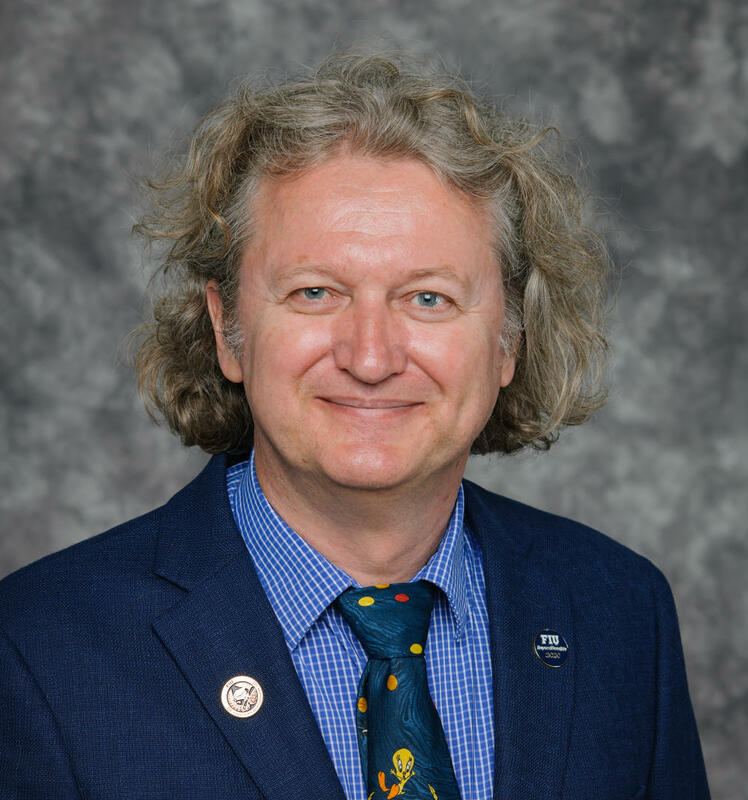 Currently, his main activities focus on two projects at Jefferson Lab in Newport News, Virginia: hypernuclear spectroscopy and a search for exotic mesons with the GlueX Experiment. Feodor Lynen Fellowship from the Alexander von Humboldt Foundation, 1995. FIU Faculty Award in Excellence in Teaching, 2017.